Mr. Wilson’s Second Liners are on a mission to increase the uptake and quality of processional and street music in community settings across the UK. Our core team of experienced workshop facilitators can offer a range of bespoke training and participation opportunities. We want to share our extensive experience in outdoor performance, inspiring workshop participants to take their music to the streets. We also know all about instrument tuition and repair, managing bands, arranging music, getting musicians and audiences dancing, adapting material for outdoor contexts and costuming. We are all DBS checked and several members of our team hold PGCE qualifications, M.Ed. and advanced training for teaching pupils with autism and SEN. 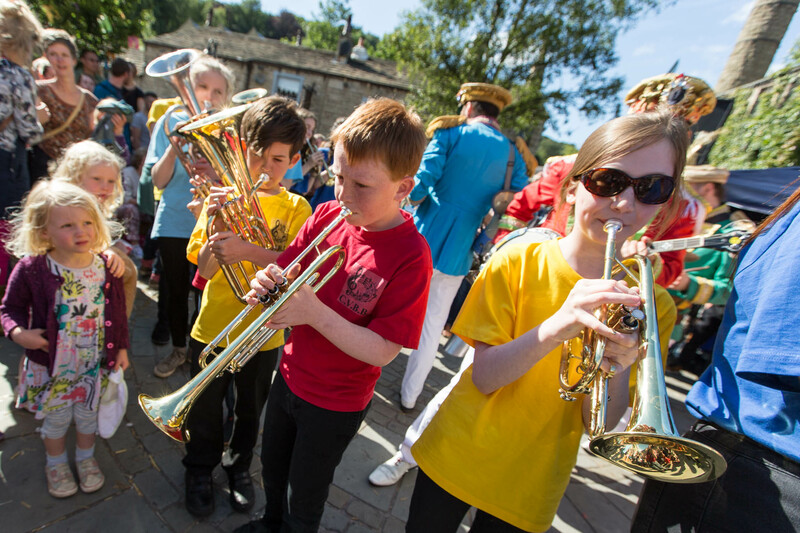 If you or your community band is interested in learning more about playing music outdoors, please get in touch. We are also happy to make presentations and host conversations around getting new bands up and running. 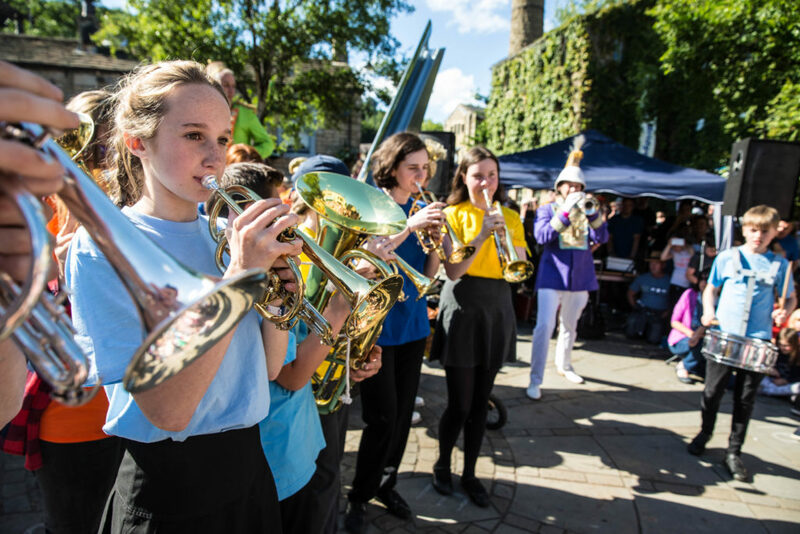 Durham BRASS Festival Outreach programme. 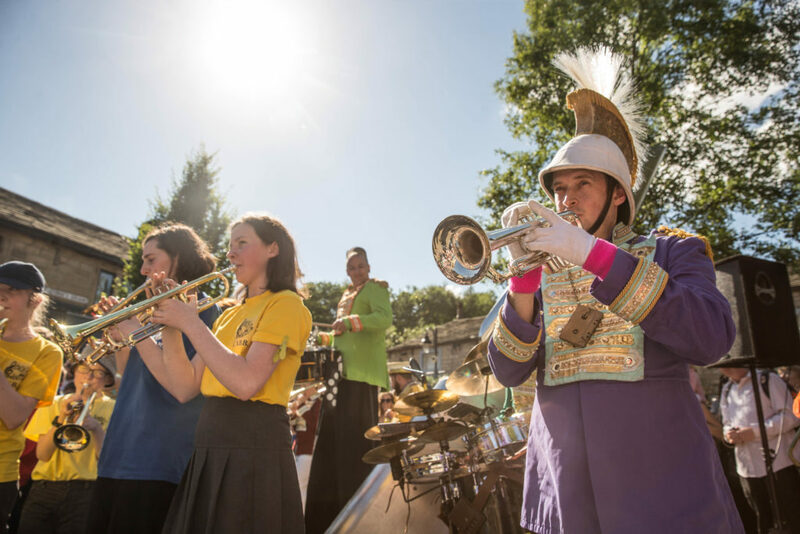 Explore how the band work as a team to create exciting performance material for a variety of contexts including parades, strolling street theatre and staged performances. The workshop covers moving and playing as a group, increasing overall performance ability, communicating effectively with your team inside and outside performance, managing and marketing a band, and learning some great new tunes. Our facilitators are also happy to share with participants their wealth of knowledge in instrument tuition and repair, costuming and project development. “‘Inspirational’, ‘exciting’, ‘compassionate’, ‘caring’ and ‘fantastic’ are just a few words that come to mind when reflecting on our band workshop, facilitated by Sonya and Will. It was extraordinary how much we covered in that time. Sonya and Will came with a sensitive and flexible plan that was designed to address many of the challenges that street bands face. We were also given new music to add to our repertoire, and spur-of-the-moment masterclasses in sax technique and learning music. 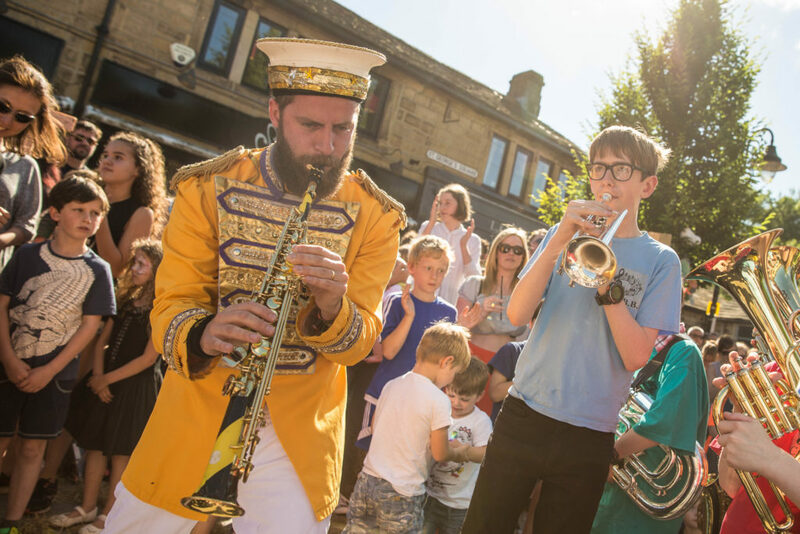 A one-day, whistle-stop tour to transform your music and performance into outdoor contexts including static street gigs and parades. The workshop covers moving and playing as a group, increasing performance ability and material, communicating effectively with your team inside and outside performances and learning some great new tunes. Our facilitators also have a wealth of knowledge in managing and marketing bands, instrument tuition and repair, costuming bands and project development, all of which they are happy to share with participants throughout the day. A one-hour lecture and Q&A about the UK Outdoor Arts Sector, established networks and professional opportunities for musicians and performers. This can be followed by a 1.5-hour practical workshop introducing students to devising techniques and practical stepping-stones to develop spark ideas into successful outdoor arts or music projects. A one-day, introductory workshop to performing music and movement outdoors. This includes movement for street and processional contexts, sectional rehearsals in smaller groups and working together as a whole band. The day culminates in a collaborative, flash-mob performance with Mr. Wilsons Second Liners for the whole school to enjoy. Asheville School, Harrogate- one-day, introductory workshop. This 40-minute participatory assembly introduces students to the music of Mr. Wilson’s Second Liners, their individual instruments, rhythm and singing. For students with SEN, the facilitators sensitively respond to their interests and needs to create a bespoke intimate, stimulating and sensory experience, which is enjoyable for both students and staff. Alex Moscrop-Brown, Bluebell Meadow Primary School, Durham. We are currently developing classroom resources to benefit teachers that want to continue the learning after our visit. In the mean time, you can download free charts for your band here, specially arranged for you by Mr. Wilson’s Second Liners. Happy playing!